It's hard to dispute that the social web has transformed society and created any number of new ways to connect people in more personal ways. Nowhere is this more so than with philanthropy. I've written previously about a number of innovative platforms that have emerged in the UK in recent years that have tried to make a more intimate connection between giver and recipient. For instance, Common Cause was a UK charity that aimed to connect impoverished entrepreneurs with people with skills or equipment they were looking to donate. Or you've got PitchIt, a London based enterprise that aims to connect disadvantaged students with young executives in the creative sector. The idea is that ambitious professionals mentor the youngsters, thus gaining valuable mentoring experience, whilst the students gain support for getting into the industry. The aim with platforms like this is to discourage people from simply giving money and forgetting it and to build a more engaged donor base. Suffice to say, these kind of platforms are still very much at the margins of philanthropy, and whilst services such as Kiva have made it easy for western donors to support causes in the developing world, it's probably fair to say that the majority of donations still go via more traditional means, or via the burgeoning number of services such as JustGiving that have emerged in recent years. Alas, a recent study suggests that donors are generally unaware of just how much of their money goes to the charity concerned. For instance, 60% of JustGiving users were unaware of the fees charged by the site for each donation. And of course, that is just at the donation side of things, with a continued confusion over how donors can realistically judge the merits of a charity. A study from 2014 found, for instance, that the majority of donors judge the merits of a charity on the way it spends money rather than on the success of that spending. Philanthropist Alexandre Mars is attempting a slightly different approach to giving via his Epic Foundation. 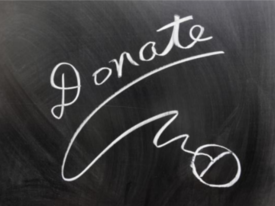 The foundation uses an approach more akin to that of a VC fund. He and his team do a considerable amount of due diligence into each non-profit, looking at the areas they focus on, their success rate, how well they're managed and various other aspects that go into running a successful institution. A pool of 20 high impact organizations will then be added to the portfolio, with the latest cohort consisting of NGOs from 11 different countries. 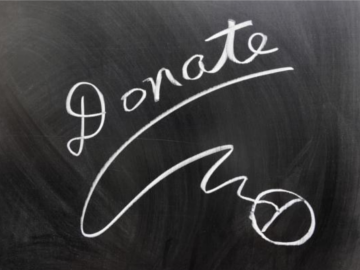 The Foundation then monitors the performance of each charity to ensure that the organizations deliver on their aims, with this feedback on tap for donors who wish to track their giving, but also to the organisations themselves who wish to improve their operations. "Each year, we look for the world's best organizations working to empower children and youth in order to connect them to our global network of philanthropists and corporations looking to give in a more strategic and engaged way," Mars told me recently. "To identify the most impactful organizations, our team at Epic Foundation has built a new network across the world of leading foundations, funders, and think-tanks. This enabled us to identify and receive applications from over a thousand organizations across 85 countries in 2015. In the final stage of our 3-stage due diligence process, our team visited 50 organizations in 11 countries; the top 20 are selected for our portfolio. We recently opened our selection process for 2016 and we've received nearly 3000 application so far," he continued. The team plan to launch an app on both web and mobile this spring to enable donors to track their 'social portfolio' in just the same way as investors can track their stock portfolio. The aim is to provide greater levels of connectivity between donor, NGO and recipient. As you can see, there are a range of models being used to try and shake up the industry, and just as with investing, hopefully this level of diversity will ensure that improvements are made. It's a sector to watch with interest.